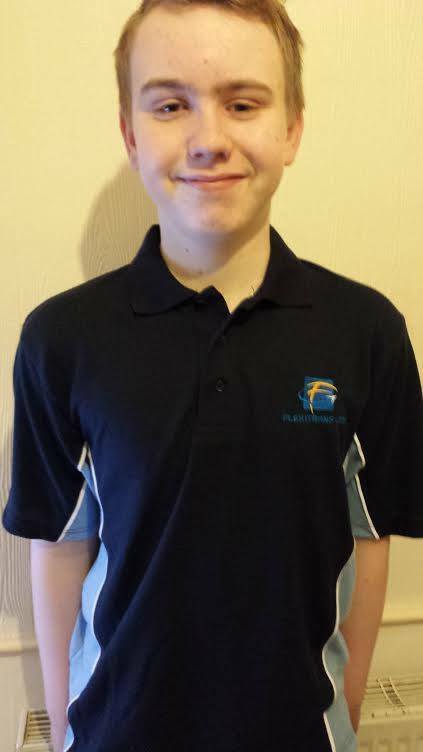 February 2014 “Hi, my name’s Steve Ritchie, I’m 15 and I play pool for Kent. I am currently being sponsored by Flexitrans, so I thought I’d let you all know a bit about me. I started playing pool when I was 5 but only for fun and for something to do whilst my parents were out. I’ve always had a keen interest in cue sports and followed snooker since I was a little baby. Unfortunately I had to take a break for a few years due to complications in family relationships and financial hardship, but began playing it again just 3 years ago, when my mum found a friend from years back who lived near her and liked to go out. Little did I know that meeting her was to change my life! The first night I went out in around 5 years, I wanted to play pool but was shy because I knew no-one in the area, but as soon as I did, people were wowed. I had no idea how good I was, but that night, the captain of the local pub team was there and offered me a place in his team. I accepted, seeing it as a bit of fun and a break from school once a week. The team was in the second highest division of the Isle of Sheppey Pool League, and over the course of the next 3 seasons, I improved massively, and eventually I got an offer from the team which had just finished unbeaten in my current league and was being promoted to the Premier Division. Chuffed, I accepted, and it was then that I realised things could get serious. After one season, other players in the Premier League began to notice me as I began to enter tournaments on the Isle of Sheppey, and many recommended that I trialled for Kent Juniors. So, on 2nd December 2012 I decided to take the 15 mile journey to Chatham to trial for Kent, hoping to win a few frames at the most. By the end of the day, I had won 66% of my games and gained a place in the Kent U18 Pool team, the 3rd best County in the country! Even after such an achievement, I never realised how far it could take me – I expected to be dropped after one season, and that getting into the team was a fluke! However, throughout the season I proved I deserved the spot in the team by winning 68.4% of my games, and helping the Kent team to finish 2nd out of 6 in out Region. (Kent, Berkshire, Greater London, Hampshire, Surrey and Sussex). This meant that individually, I had finished 16th in the U18s and 8th in the U17s in the Region, so I had qualified for England Trials. I will post in more detail about the England Junior Trials at a later date. Thank you for reading, and I hope to inform you of progress in the future!